Ascended, Greatfather Frost has lost his special Gift List for this year and it’s fast approaching Yule. Think of the horrors on all the baby boglings’ faces when they wake up on Winter Solstice (Yule) on Dec 22nd only to discover they’ve got the wrong gifts! Unfortunately Greatfather Frost is busy taking pictures with all the little boglings when he’s not drinking with Atrophinius or instantly speaking into the minds of the Ascended as they adventure through Iron Pine Peak. Hold off on chasing sparkles for a while and lend my friend Nut Meg a helping hand as she attempts to find the torn pieces of Greatfather Frost’s Gift List. I’m sure there’s some extra gifts we could spare for your assistance! The first gift written in Greatfather Frost’s Gift List is a Fae Yule Companion Pet. 2 winners will get a Fae Yule Companion Pet of their choice. Congratulations to the following players for winning “A Helping Hand“! You will both receive your chosen Fae Yule Companion Pet shortly! Going over Greatfather Frost’s Gift List, Nut Meg has recalled her time with a strange ‘moving mistletoe’ fellow and this might clue us in to where the first missing piece of the Gift List is located. Help Nut Meg find Greatfather Frost’s Gift List with “The Yule Nug” contest, held in multiple parts over the next week. For Part 1 “A Helping Hand”, you must provide a screenshot of yourself in the same location as Nut Meg’s memory in the image above. Find the location in Nut Meg’s memory (from the picture above). Take a screenshot of yourself in the same location. 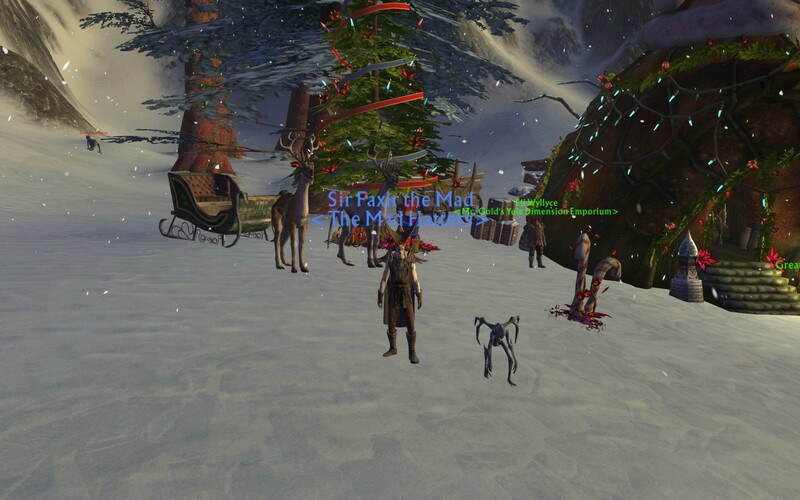 Upload your screenshot to an image-hosting site and link it in the comments below with your in-game name, shard and which Fae Yule Companion Pet you want. 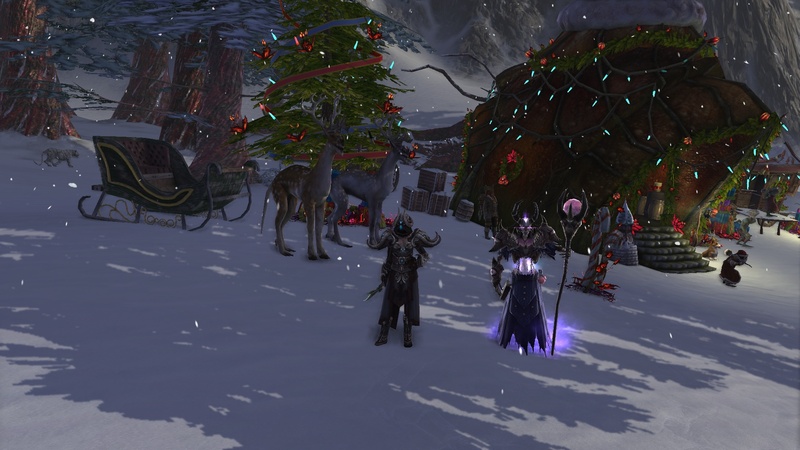 1x Fae Yule Companion Pet of your choice from the RIFT Store -> World Event section. Another random correct entry will also win the same prize. Both NA and EU region players can participate. Screenshot must show the same location as in Nut Meg’s memory and the player must be as close to the same location as possible. Similar Angle/Direction should also be used (so no screenshots facing the other way). If I feel like your screenshot is of a different location, it will be disqualified. Must be a legitimate screenshot taken in-game. No ‘photoshopping’ yourself into the image. Entries close on Tuesday 15th December 2015 at 11:59:59PM PST. Note: “The Yule Nug” is a player-run contest. Aeg Nug, Nut Meg and other related characters are not official Rift NPCs and nothing contained in this contest is canon. “The Yule Nug” contest is held under a similar vein to last year’s “The Lost Nug” contest series.